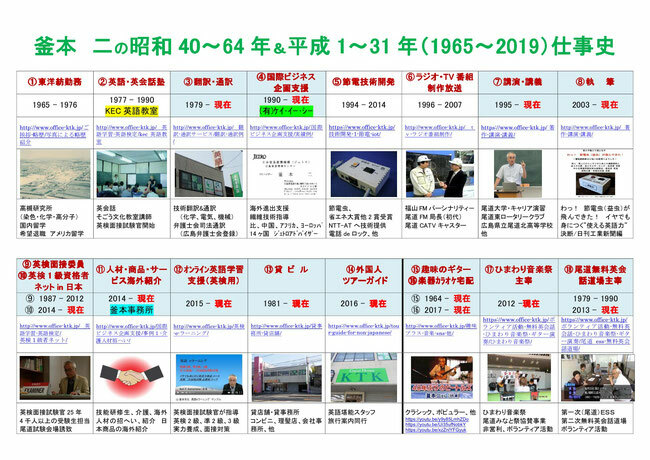 About 2 weeks before the new era name of Reiwa starts in Japan, I have tabulated my business in the past 54 years (1965～2019). 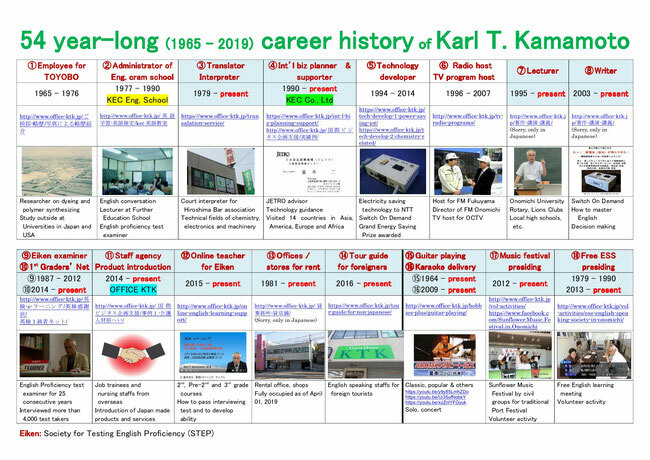 I joined TOYOBO Co., Ltd in 1965 and started my career as a salaried man. I spent most of the time in the company as a chemical researcher and had a chance for domestic study in Technical Institute of Kyoto. I stopped working for TOYOBO at the age of 28 and went to San Diego State University to confirm my English skills I had acquired through my self-directed study.